Sensitive skin can be a nightmare, whether you suffer from cold weather winter flare-ups or all year round – stinging, itching, burning, turning red and even peeling. It’s tempting to mask problems with make-up, but instead why not protect and heal sensitive skin with REN’s new Evercalm Ultra Comforting Rescue Mask? The exclusive complex of unique ingredients work together to calm, soothe and moisturise, increasing the skin’s ability to deal with stress, aiding recovery, and strengthening the natural protective barrier of the skin. The Evercalm Ultra Comforting Rescue Mask is the first skincare product in the world to use white mushroom extract, a powerhouse of natural painkillers that instantly soothes and destresses skin. Containing Grifolin, Neogrifilin and Scutigeral to stop pain and itchiness, the nature-derived ingredients also act as a topical skin analgesic, preventing swelling, itchiness and redness. With Baker’s Yeast to boost the skin’s immune system and Arnica Montana Flower Extract, used by surgeons to reduce post-operative trauma and a potent weapon against ageing free radicals, the Ultra Comforting Rescue Mask leaves skin beautifully soft and smooth, with a glowing, even tone. 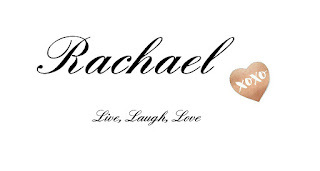 In trials 90% of women said their skin felt calmer after 24 hours. 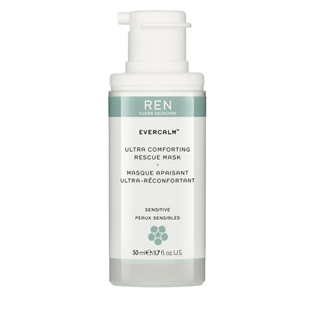 REN Evercalm Ultra Comforting Rescue Mask is priced €32.00. I love REN products so so much, they are very luxurious. I have the glycolactic mask and love it. This one sounds amazing. I am all about the rescuing and hydrating my skin at the moment in preperation for the summer. The harsh winter has had an awful effect on it. This is defo in my purchase list.